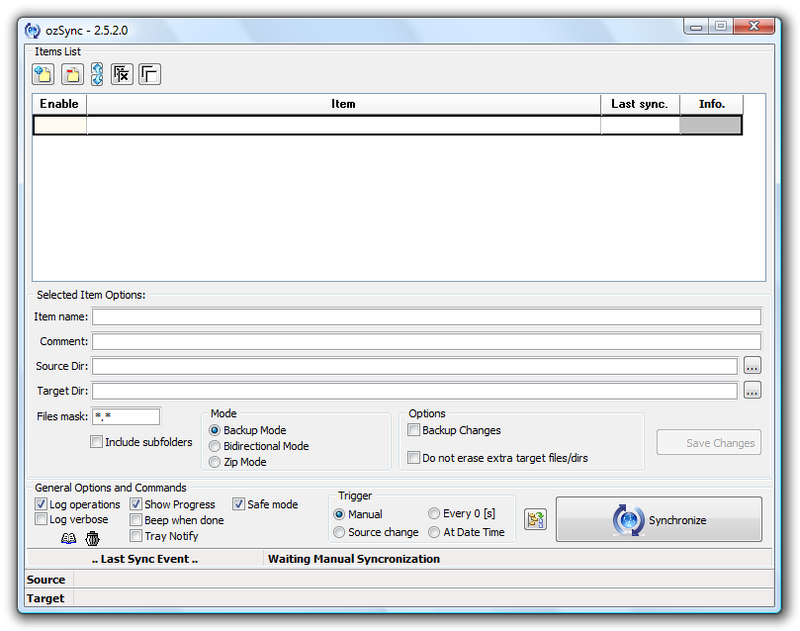 Description: It is an utility that synchronize files and folders. Synchronize operations can be started manually, time scheduled or made in Real-Time. ozSync will create full backup contents and when Backup mode is enabled, it stores also replace,deleted files as incremental backups. Very nice and small Sync and backup utility.